Master Certified Equipment Appraiser (MCMEA), Senior Business Analyst (SBA). Chris Rials currently owns Peak Appraisal Group, which performs a wide array of Machinery and Equipment Appraisals and Business Valuations throughout the state of Texas, with a primary focus on the Dallas/ Fort Worth area. 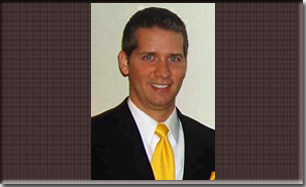 Mr. Rials has over seven years of business management experience. He is a Nationally Master Certified Machinery and Equipment Appraiser (MCMEA), and also holds the designation of Senior Business Analyst (SBA), by the International Society of Business Analysts. His years of business experience and professionalism along with his strong personal ethical guidelines and knowledge of the Uniform Standards of Professional Appraisal Practice (USPAP) make him a perfect fit for our industry. Mr. Rials has had the unique privilege of being directly trained and coached by Accredited Senior Appraiser, Mr. John Harris, (ASA, MCBC, AM&AA), President of Marketing Consultant Services, Inc., and previous Director of the prestigious National Equipment and Business Builders Institute (NEBBI). As well as Mr. Nathan Bazzle (MCMEA, CSBA) who owns several successful businesses and performs Machinery and Equipment Appraisals and Business Consulting all over the nation.